Scoff if you must at the notion of a Jaguar crossover, but it’s important to keep in mind that without one, the storied British brand may have been on the way to taking a permanent cat nap. 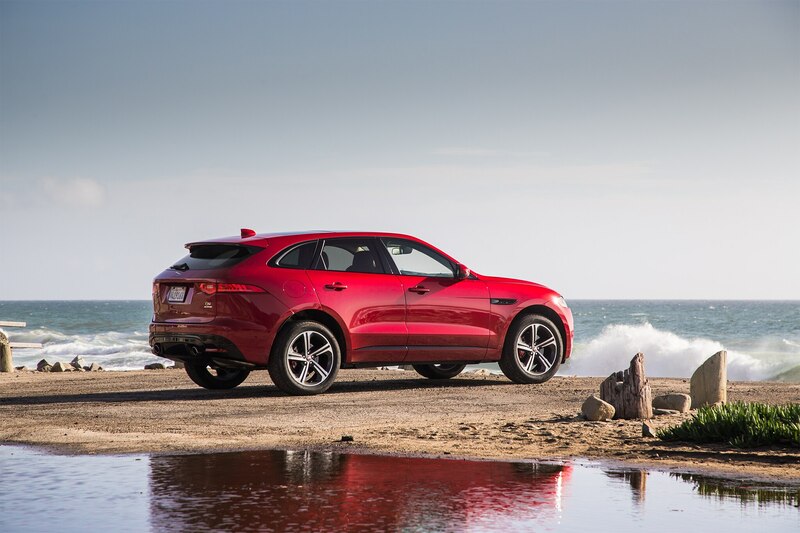 The F-Pace hit the market last May and finished 2016 slightly north of 10,000 vehicles sold. It was an impressive start. 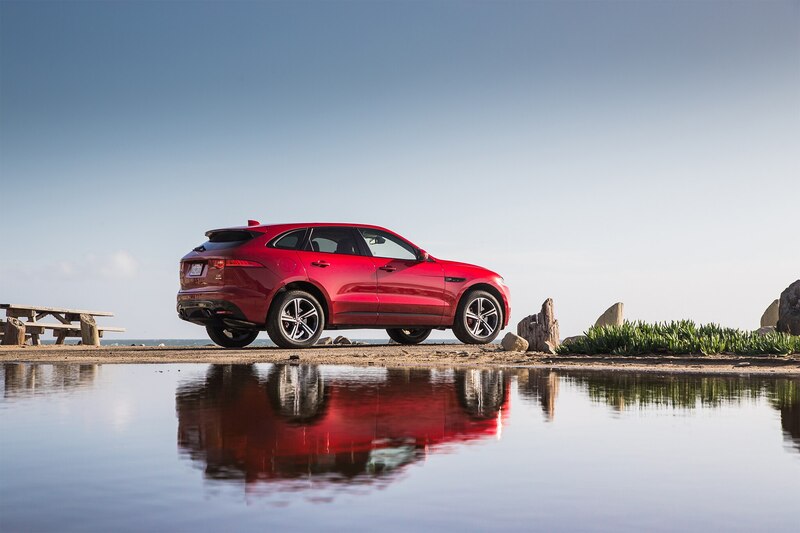 In only eight months, the F-Pace helped Jaguar more than double its sales compared to 2015. So the demand has clearly been there out of the gate. Nevertheless, there are those who wonder how much of its ethos Jaguar is sacrificing in the name of hitting sales targets. (There were similar questions when Porsche launched the Cayenne, and that worked out just fine.) But these are crossover crazed times, and Jaguar insists that the F-Pace contains numerous strains of the brand’s DNA. 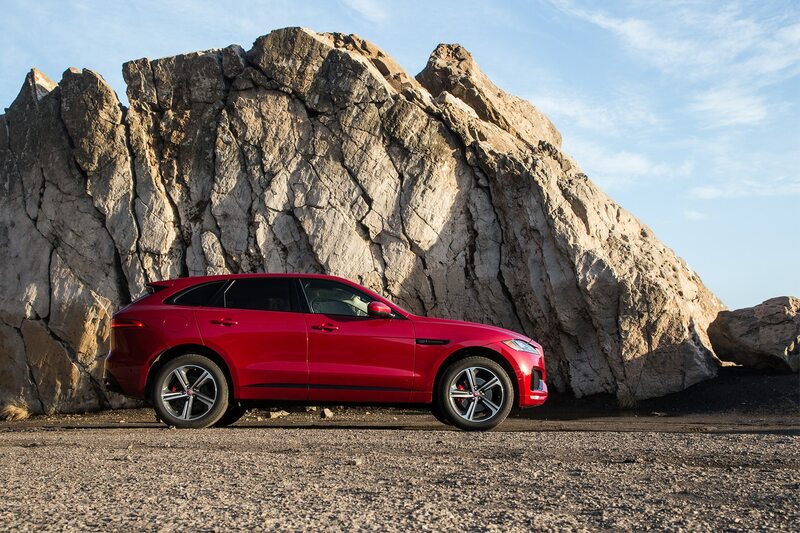 To find out if that’s really the case, and to see how well Jag’s first ever SUV can withstand 12 months hard and fun miles, we nabbed one for a Four Seasons test. 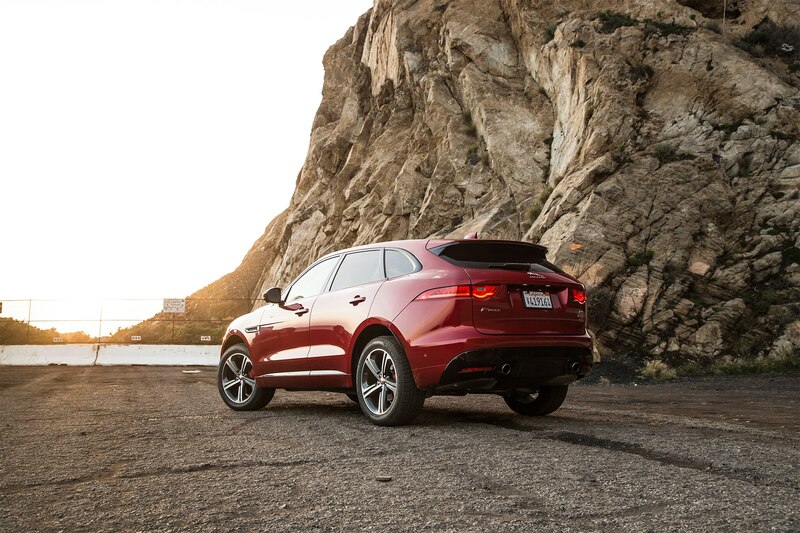 From the moment it arrived, the F-Pace didn’t exactly darken our parking lot, far from it. It’s a handsome brute of a ute, thanks to the efforts of lead designer Ian Callum and his team. 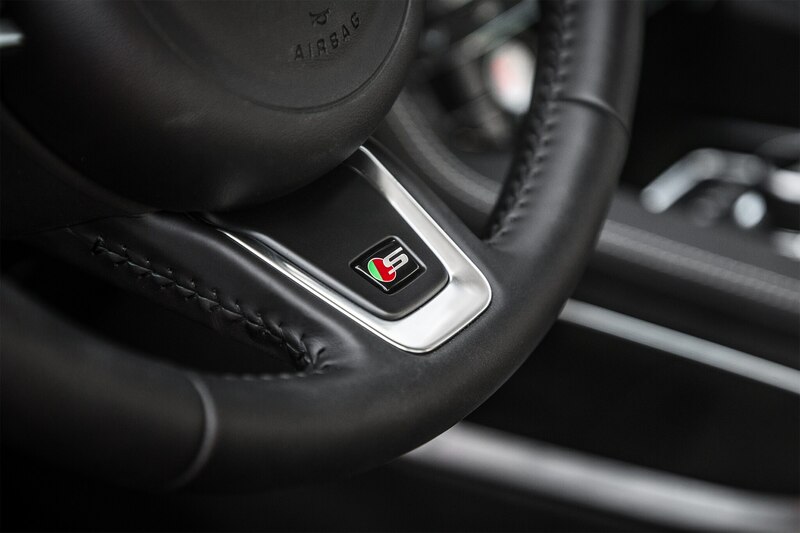 They have worked tirelessly since 2006 to sculpt Jag into a thoroughly modern, design-forward brand that also incorporates clever, heritage-themed cues. Clean-sheet models like the F-Type and F-Pace have shown Callum to be one of the best in the business, and the Jaguar design squad has done a top-notch job of differentiating its crossover from those of its Land Rover and Range Rover cousins. 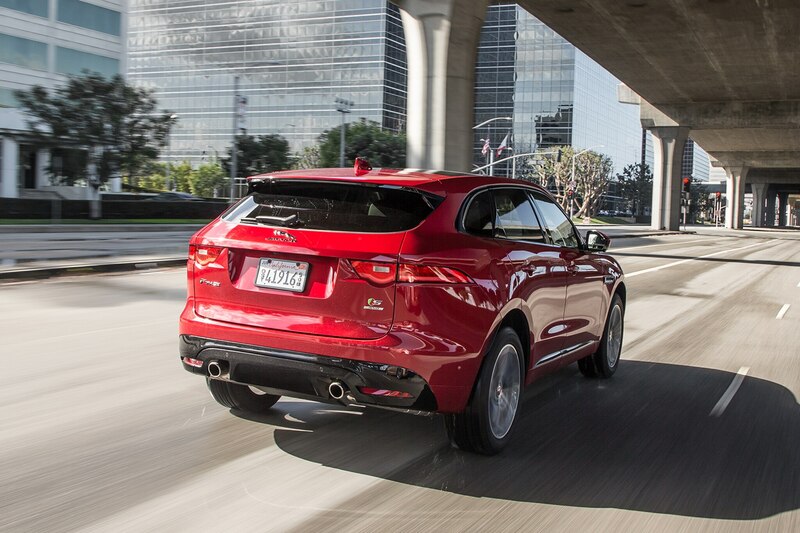 The F-Pace’s stance is taut and athletic, sleek without being too rakish. Stylistically it’s more in step with the Mercedes GLE Coupe and BMW X6 than the Lexus RX, but it doesn’t necessarily ape any of them. Sometimes a car’s design is only as good as its color palette, and we were quite pleased with our choice of vibrant Italian Racing Red ($550). We also added the aptly-named Black Design Package ($350) that darkens up several exterior trim pieces. 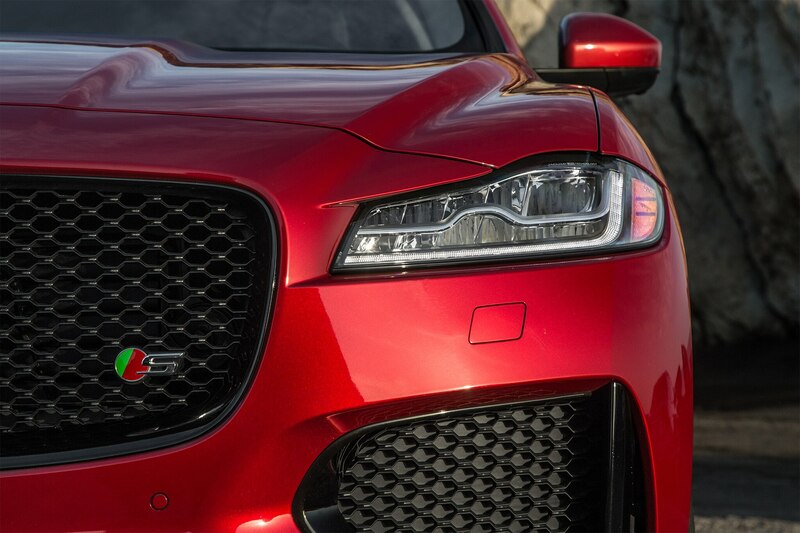 It’s an aggressive stance befitting the ferocious-looking feline adorning the grille. 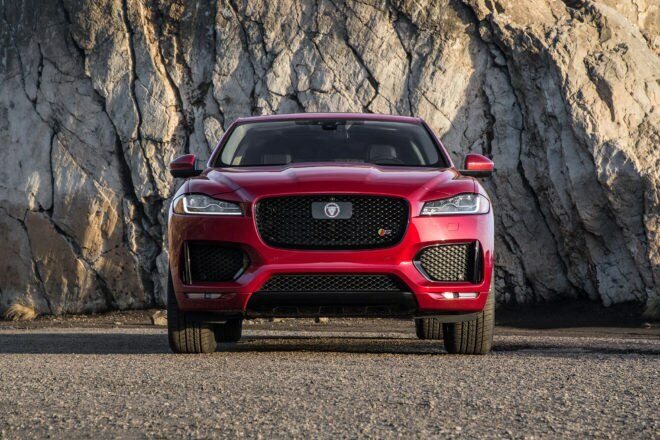 Although it certainly looks the part, Jaguar knew the F-Pace also had to have the chops under the skin and in the cabin to battle the competition. 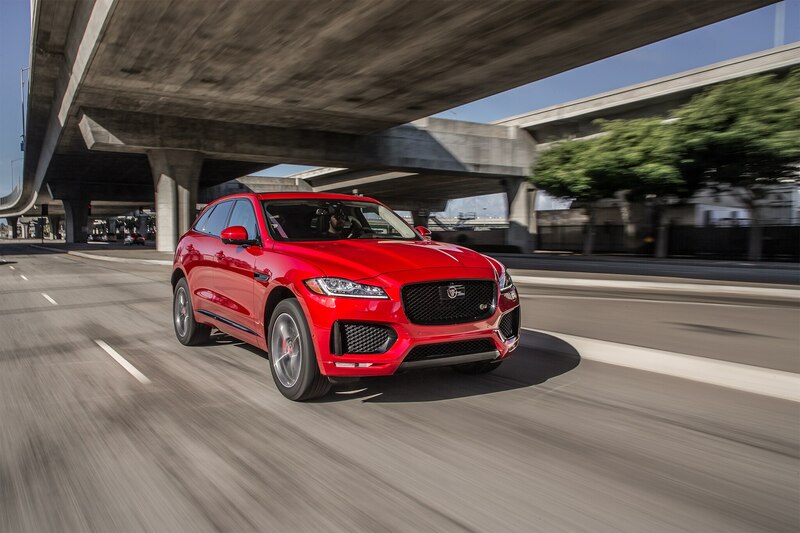 So it worked overtime to make sure the F-Pace’s performance envelope backed up its go-fast appearance. 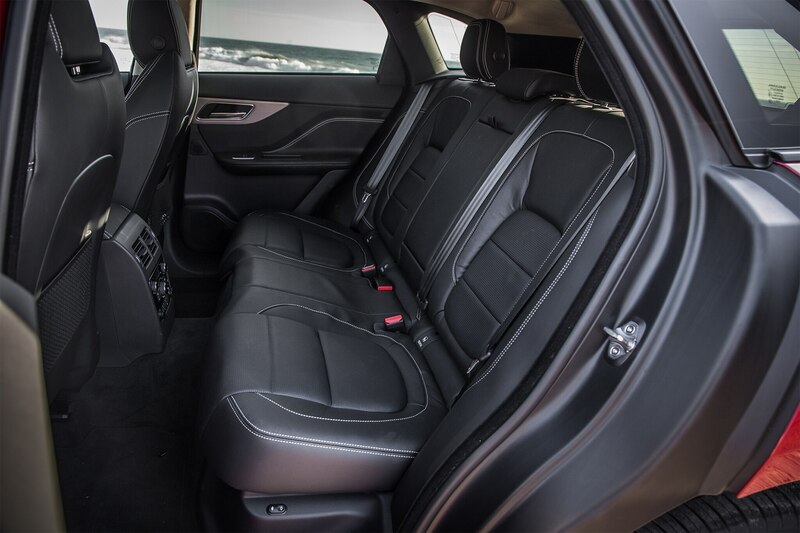 It also strove to ensure its interior was top notch and space ample enough to take on the luxury oriented crossovers in its class. 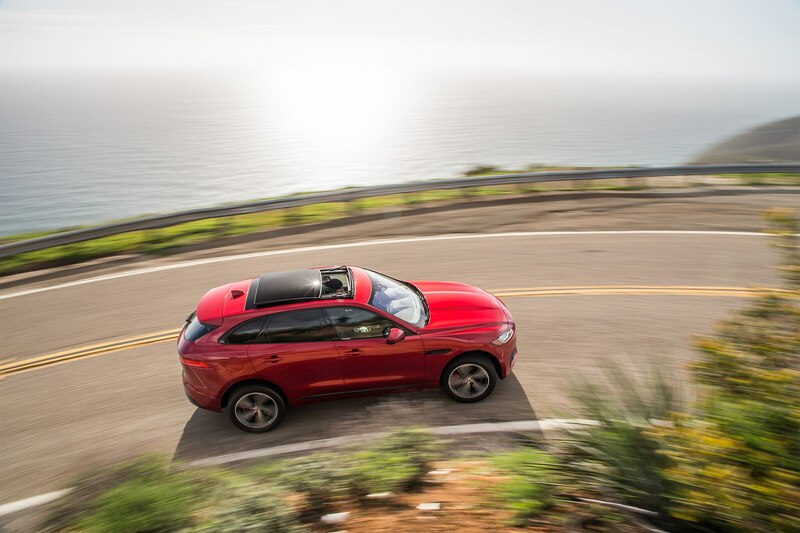 It had initially benchmarked the BMW X4 and Audi Q5, but according to the head of the F-Pace’s off-road capabilities, the engineering team went back to the lab when the Porsche Macan broke cover. 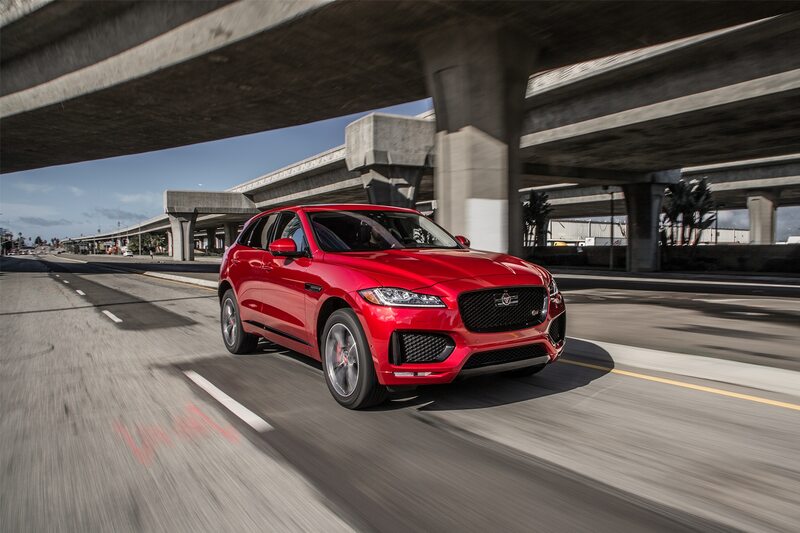 As a result, Jaguar claims the F-Pace is nearly as agile as the Macan, yet with 33.5 cu-ft of cargo room, it’s more spacious than a Q5 with 28.7 cubic-feet. 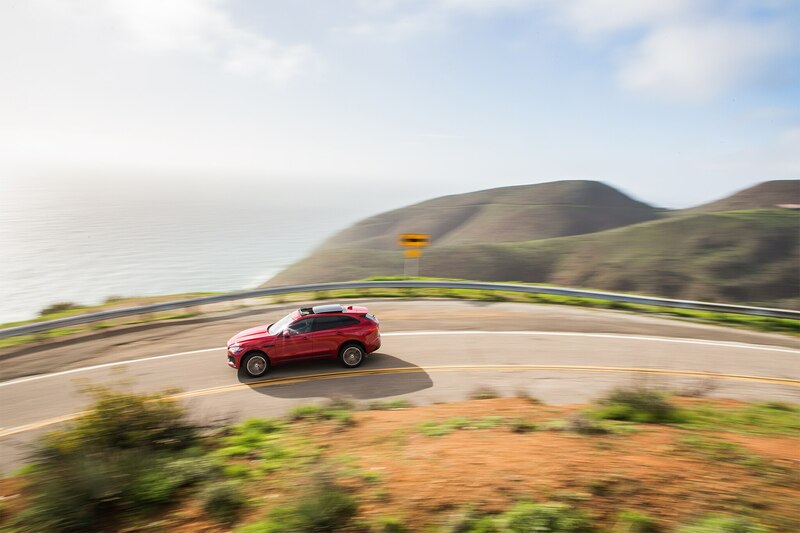 It’s the type of vehicle that’s been designed to carve up some tasty canyon roads with a load of camping gear tied down in the back on the way to a weekend getaway. (It’s on the list). 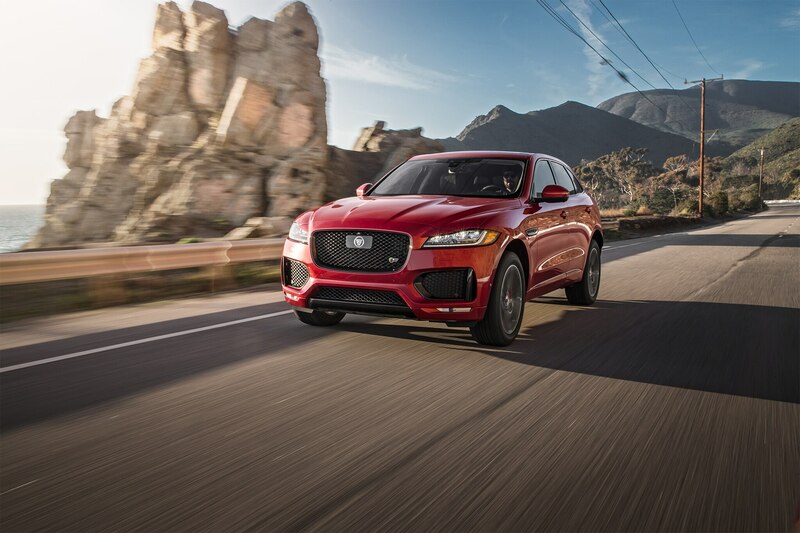 When it came to the options list, we couldn’t resist leaping at the range-topping S trim, which crams some extra muscle under the hood in the form of Jaguar’s trusty 3.0-liter supercharged V-6 with 380 horsepower and 332 lb-ft of torque, a 40-hp boost over the next most powerful F-Pace trim, the 35t. 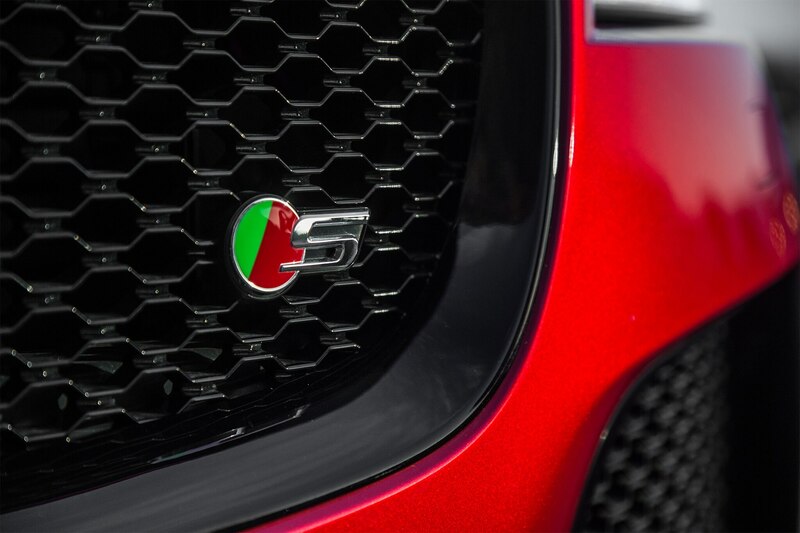 It’s the same raucous six-pack that powered our dearly departed Four Seasons 2015 Jaguar F-Type S Coupe. In our F-Type, the 3.0-liter shouted through a standard selectable active exhaust, offering up a banshee soundtrack with cracks and pops on overrun that harkened back to the less-restricted sixes of the 1960s. 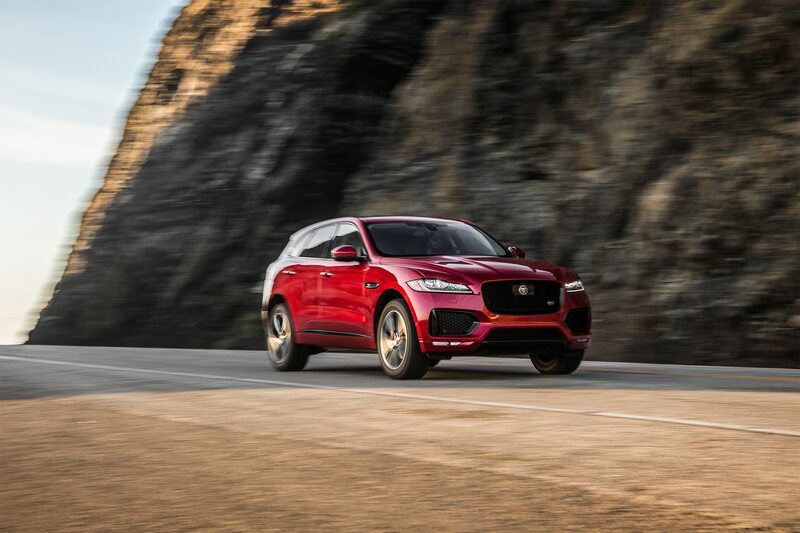 It’s a feature not offered on the F-Pace that we miss, which has left some editors less than impressed with the crossover’s more muted war cry. “Drones with just a hint of supercharger whine instead of something more musical,” noted senior editor Kirill Ougarov. 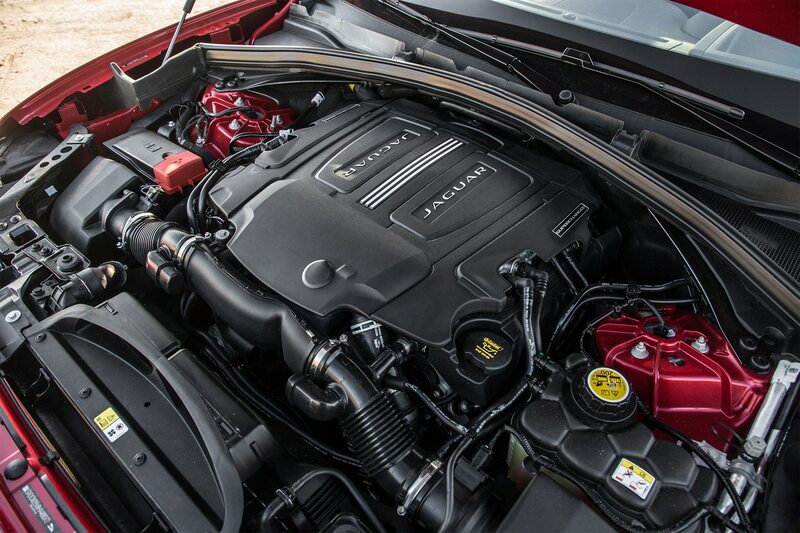 However, the F-Pace’s supercharged firepower is expertly routed through what has become an industry standard, Jaguar optimized ZF sourced eight-speed automatic that the brand employs throughout its lineup. 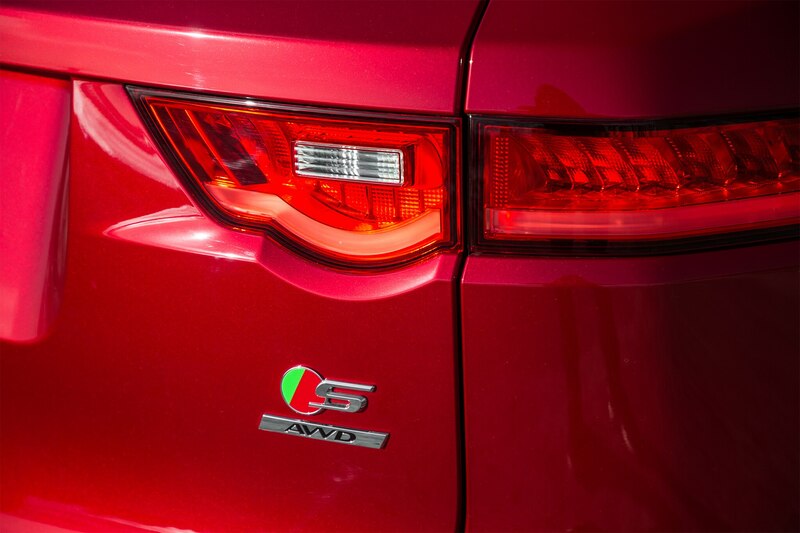 Power is distributed to all four wheels through Jaguar’s AWD system, incorporating its advanced Adaptive Dynamic Surface Response system that adjusts steering, engine, transmission, and stability control based on rolling resistance and tire slip. 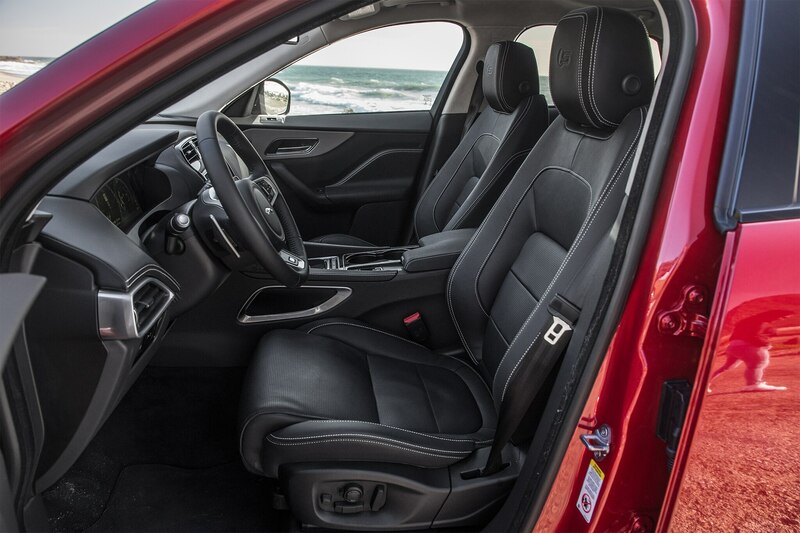 This provides the SUV with a sure-footedness that makes it feel smaller and lower to the ground than it is. 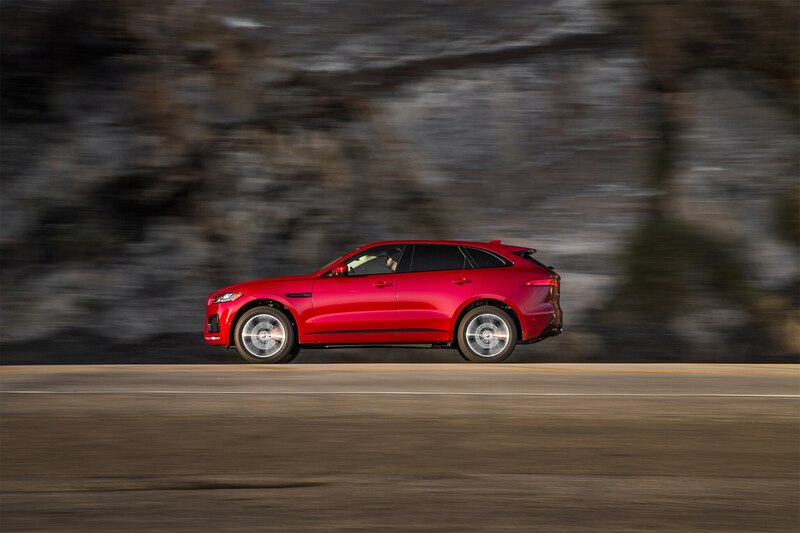 Combined with double-wishbone suspension setup in the front and a subframe-mounted multilink system in the rear, a curb weight of 4,015 pounds, and a monocoque comprised mostly of aluminum, the F-Pace is an agile offering. While the cabin’s presentation errs on the crisp, sporty side rather than one of ornate British luxury, its design flows smoothly, appearing to have coalesced together rather than built in separate components. In order to amp up the interior’s luxury factor, we checked off nearly every package and add-on available. The Technology Package ($3,200) includes a suite of features such as an upgraded 825-watt, 17-speaker Meridian sound system, navigation, and in-car Wi-Fi. The Driver Assistance Package ($3,200) adds a dash of safety and sensibility with a 360-degree camera setup, adaptive cruise control, and traffic sign recognition among the features. 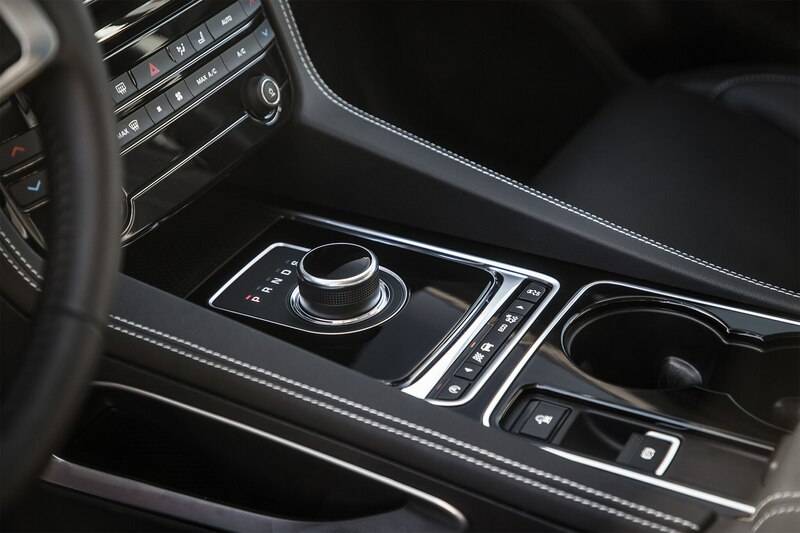 Jaguar Land Rover’s InControl navigation/infotainment system has garnered mixed reviews from our testers in other vehicles thanks to some glitches and sluggishness, but to its credit JLR has been constantly updating it. Our unit is the upgraded InControl Touch Pro with a 10.2-inch screen and quad-core processor, and it’s been so far, so good from the colorful and responsive interface. 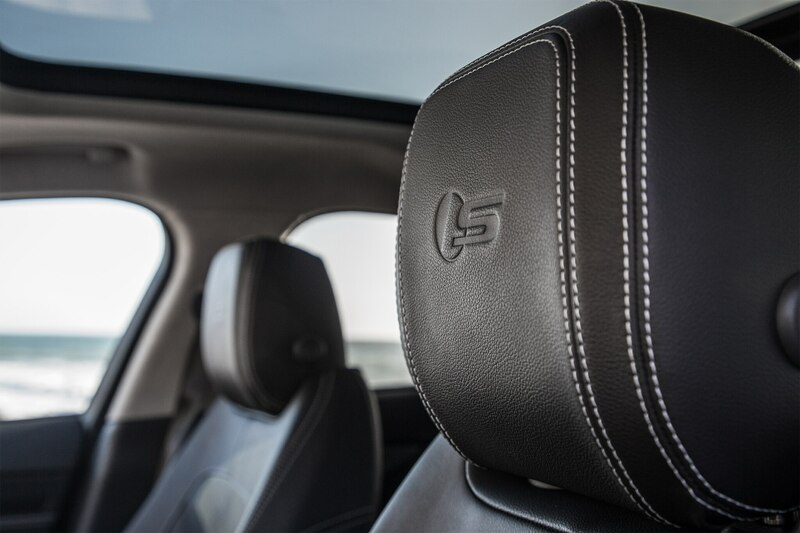 The Meridian sound system is outstanding, but we’re not in love with the rearview camera’s odd angle. We also opted for some additional pampering by ordering up the Comfort and Convenience pack (an $1,800 grouping that includes climate-controlled front seats and heated, power-reclining rear seats) and the $2,200 Luxury Interior option, adding accoutrements such as four-way climate control, a lockable and “cooled” glovebox, and configurable interior mood lighting. 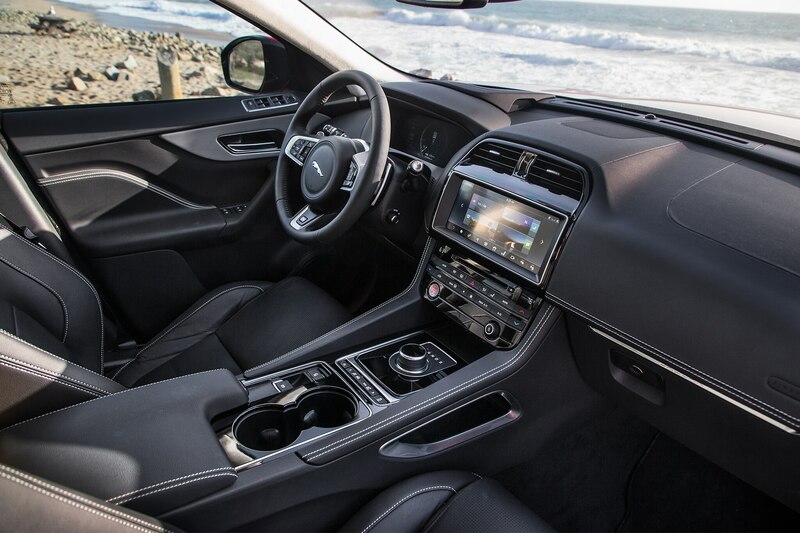 Sprinkle on a few extras like the heated front windshield ($375), head-up display ($990), and the nifty Activity Key armband that allows us to leave the heavy metal key in the car while we wear an access key on the wrist ($400), and our F-Pace S settled in at $71,360 as tested. 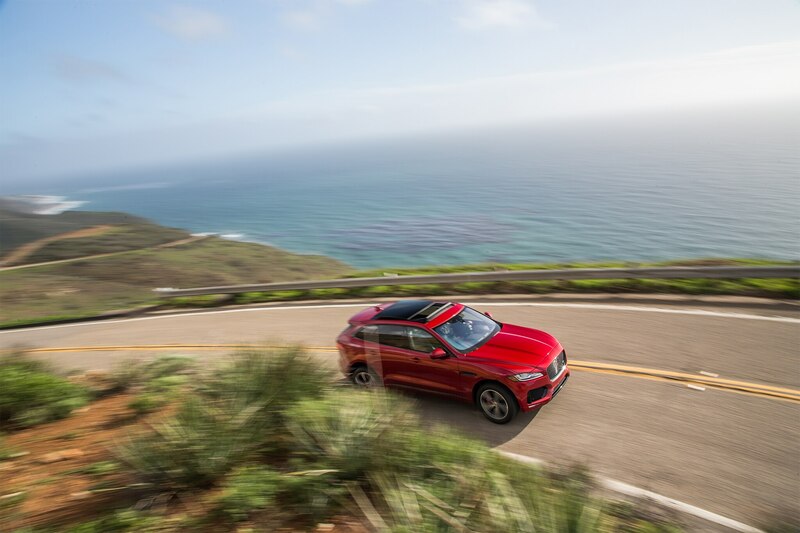 It was a no-brainer for Jaguar to do the F-Pace, and on the surface at least it seems like a job well done. How it holds up to the daily grind for the next 12 months remains to be seen.